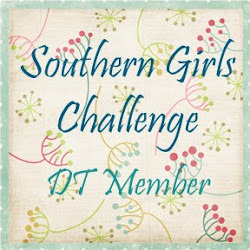 I cannot believe it has been a year since Lou and Trace started up Southern Girls Challenge. I was so thrilled to be asked to be on the team and feel very lucky to have been on one of the best and friendliest design teams! The challenge has been a great success thanks to the hard work of the DT and the best group of sponsors you could hope for. In celebration of this, we have an amazing blog hop with some of our fantastic regular sponsors giving away fabulous prizes. You should have arrived from Trace's, if not, head back to www.southerngirlschallenges.blogspot.com where a full blog hop list is. A pack of Xpress A5 Copic blending paper, a copy of Copicendium and one 'Some Odd Girl'stamp. So, to recap.... the rules are simple, make sure you make a card or a Lo, and enter on Southern Girls Challenges, also leave me a comment, and on the 20th of September I will draw a random name, that will be a winner of the sponsor that I am showcasing. 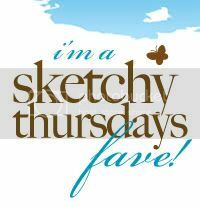 Now you need to head over to Kirsten's blog (and Oh My - it is worth visiting for the eye candy - must see more Eric...). And for those of you wondering this weeks challenge is all about layering. OK I admit I haven't layered much on this Lo, but it is there (layered pp and flags), not that hard is it?? 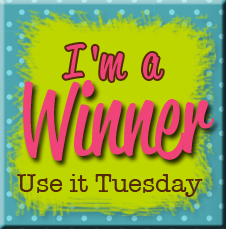 and there are different prizes on each blog, lots of very cool prizes to be won. Karen, this is stunning as always. What a cute photo and a gorgeous LO. What a fun layout. I love the doodled effect. I like this Karen - did you do those flags??? :) X. What an awesome page! I love this! wow! Karen I absolutely love this! So fun and funky looking! Just fab! AWE what a fun page you made there. I really like the "greyed-out" look and feel that this has with the pops of color. Thanks! Loving the Blog Hop. Your layout is simple but cool...it's Great! This is fantastic! Thanks so much for sharing your creativity and congrats on your one year celebration with Southern Girls. Beautiful LO, Love the doodeling! Love the photo and the little banner! So cute! Great layout! LOVE those layered banners in the corner and the way you colored only the front one- great accent! I love having you scrapbookers on our team, you always have such gorgeous creations that inspire me. Thank you for being on this journey with myself and Lou. The doodled frame looks so cool! Gorgeous LO as always, Karen! Now off to check out Eric...ooops Kirsten! A fantastic layout, I love the unfussiness of it....... Happy Birthday Southern Girls. Fabulous!! I just love your style!! Wow, you are a travelin' gal! TFS! Wonderful layout and a perfect moment captured! What an amazing lay-out!! And you've used a gorgeous picture! Wonderful layout! There may not be many layers but it delivers such an effect! Very pretty! Great LO with minimal fuss.. that's what attracts.. Thanks for sharing..!! Love the retro look on this layout! Love the doodling! Beautiful job! 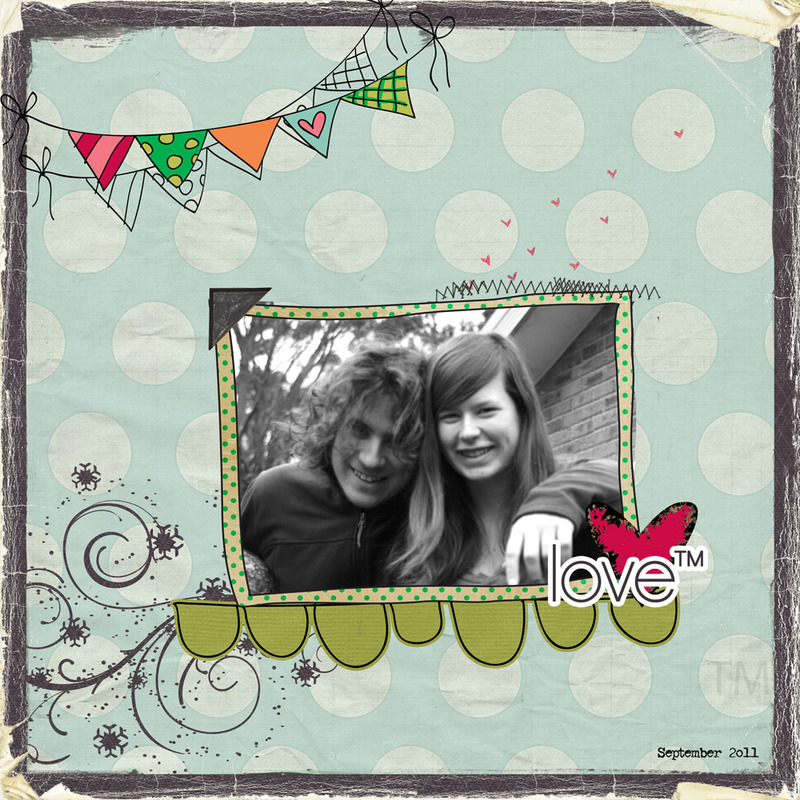 lovely scrapbook page. love the quirky nature of it and its simplicity. I LOVE the clean and simple nature of your layout. Your artwork supports that the photo is the focal point of your page. I love this style rather than overloading the page with masses of embellishments. It takes a real artist to do the less is more thing! Well Done. Fabulous layout. I love the touch of colour. What a fun modern design! Really really cool. Happy Anniversary! Gorgeous LO, and the picture is great. what a great layout! This is awesome!!! I love this LO!!! This is just gorgeous!!! Love all the other beautiful work as well!!! I have been to some of the places that you have mentioned and sadly enough, those pictures were lost during our transitional move back to the states!!! So it has definitely brought back some memories!! !